An interior designer is responsible for the design, decoration, and functionality of a client’s space, no matter whether it is commercial, industrial, or residential. Interior designers are very creative, imaginative and artistic people. Combining both the knowledge and the artistic vision, interior designers work closely with architects and clients to develop the best possible design solutions. In the following post, we will explain five ways to learn more about interior design. There are many websites and blogs about interior design that promote sharing design and decorating information. You can exchange your thoughts and ideas with other people with the same interests. This social interaction gives you some feedback and allows you can gain new insights and thoughts from different perspectives. This will help you to develop your interior design knowledge and skills. There are many institutes that offer all kinds of different interior design courses. No matter whether the courses are free, online, basic courses or degrees, they will definitely help you gain a better understanding about interior design. However, if you decide to attend a course, choose carefully depending upon your requirements. 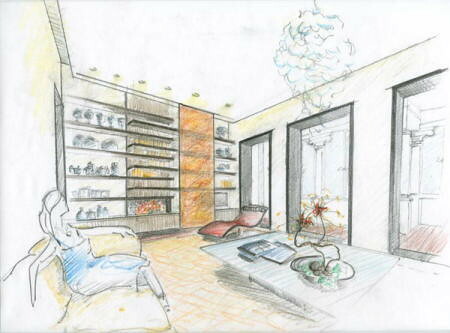 If you want to become a professional interior designer, a degree or even a diploma course might suit you best. 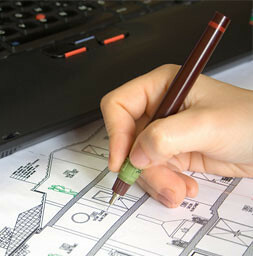 Another option to learn more about interior design is to grab yourself a home and interior design software. With the help of these applications you can build houses and offices right on your computer. You can drag and drop objects, change materials, colours and floors, and just play around a little bit. This helps you to gain a better visual understanding and will definitely help you to increase your interior design skills. You can have a look at different interior design magazines and books. Both of these will give you new insights and ideas about interior design in general, and also about specific topics, like matching different design styles with one another. The good thing about magazines is that they are always up to date with all the new and upcoming trends – definitely worth a look if you want to learn more about interior design. As an interior designer, it is important to understand the size and scale of a room. By going to furniture shops and showrooms you can improve your environmental understanding, and this will help you with regards to all interior design tasks.